Embark on your journey with a Coast Guard Certified Master Captain and an in water chaperone, educator and photographer. Your tour will run three hours from start to finish and everything you will need is included for one price. 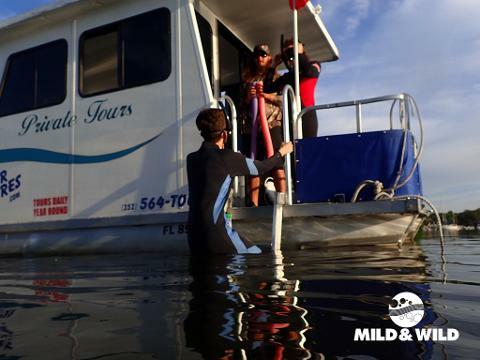 You will begin at our full-service tour facility, where you will be educated about the animals in a classroom type setting and receive tips for your snorkel tour to make the most of your day. You will be taught the in’s and out’s of ‘passive interaction’ as this ensures that the animals enjoy the experience as much as we do! You will then be suited up and transported to the dock, where a Coast Guard certified covered pontoon will be waiting for you. This rich estuary will amaze…..birds, fish and wildlife abound! 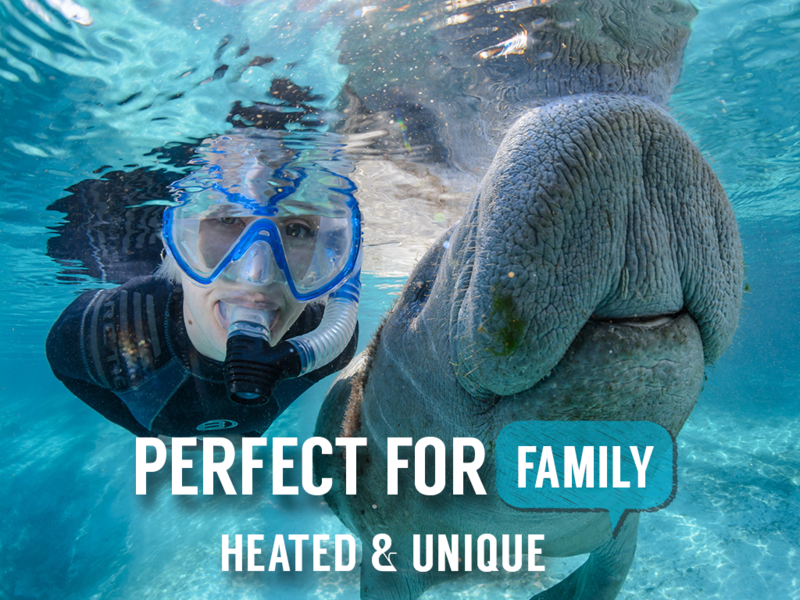 Submerge yourself in the manatee’s world! Finish your adventure by viewing your guide’s photos back at our facility and be sure to visit our one-of-a-kind gift shop! Our well-informed staff will direct to other local attractions, restaurants and answer of your questions before you are on your way. 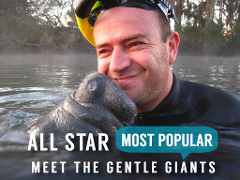 We guarantee that after you meet our friendly gentle-giants you will never be the same! You will never forget your adventures here in Crystal River, and chances are - we will see you again! 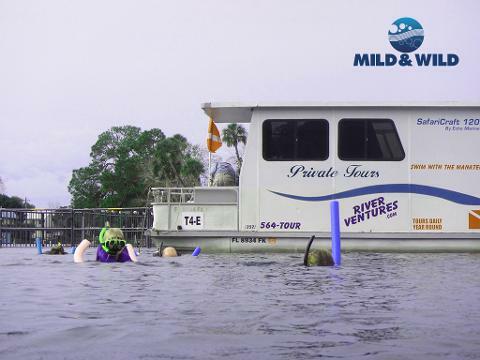 Our private houseboat offers you a personal experience unsurpassed here in the Crystal River Wildlife Refuge to snorkel with the endangered manatee. Enjoy this fully enclosed, heated vessel with the full attention of your very own Master Captain and In Water tour guide. Wear your bathing suit...that way you are ready for a quick change into the wetsuit. Bring a towel, most people will bring these along on the boat. Keep season and air temps in mind. If it is cooler, it is a great idea to bring a sweatshirt, jacket or even a full set of loose fitting clothing to slip on after you get out of the water. If you have young children, this is especially important, be prepared with warm clothes....always better safe than sorry! The water here is always 72 degrees, and for some that is quite chilly! Feel free to bring a bag onboard the boat to keep your personal items, but we HIGHLY recommend not bringing anything of value on the boat. During warmer weather most people will wear their wetsuits back to the shop and change into their clothes when they return from the trip. Bring what you feel you need, but no worries we will take care of the details! As a private tour you are welcome to bring snacks or a cooler. On the houseboat we provide you with snacks, hot beverages if desired and bottled water, but you are welcome to bring whatever else you would like to bring! It is very important to have realistic expectations when it comes to a wild animal encounter! Every trip is different and the experience is unique for each individual. In the cooler weather the animals migrate to this area and congregate here for the protection of the warm water springs; when the weather warms they can move about going wherever they want! These are wild animals and we can not control their migration. Manatee spend their lives searching for food, mates, sleeping and playing....it is hard to predict what state they will be in when we encounter them. The early mornings tend to be the best time to find the animals and best chance of seeing them near the springs where the water tends to be more clear. 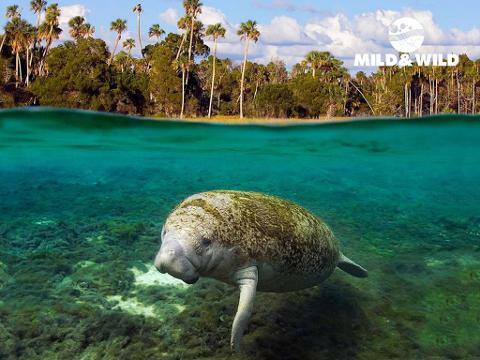 Remember it is very simple, cold weather = many manatee; warmer weather=lower manatee counts and more time looking for these endangered animals. 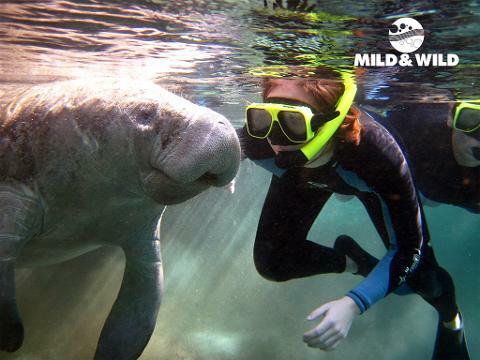 Even seeing a few manatee is a phenomenal adventure! 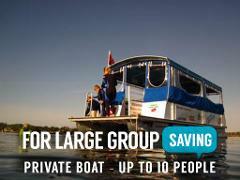 With our private houseboat, you get 4 hours instead of 3 and this extra hour can make a huge difference. 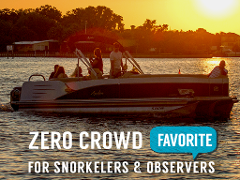 One more hour on the water equals more opportunity to view wildlife and create awesome memories! 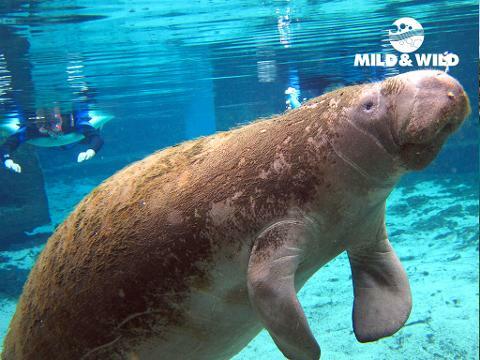 We meet at our full service Manatee Tour and Educational facility in Crystal River. You will be checked in, and offered complimentary coffee, tea or hot cocoa. Upon tour time, we take you into a classroom type setting where we learn about the animals, the eco-system and watch a short video of rules required by the US Fish and Wildlife. We will fit you for a wetsuit, direct you to our climate controlled changing rooms and gather up your group. We take care of transporting you to the dock where your Captain and guide is waiting for you! After your tour, we will drive you back to River Ventures. You can help yourself to coffee and cocoa, use the restrooms and changing rooms, check out the gift shop and view the photos from your adventure! The private houseboat is a 4 hour adventure. IT IS MOST IMPORTANT THAT YOU ARRIVE NO LATER THAN YOUR SCHEDULED TOUR TIME!! Our boats operate on a schedule ....and it can be very difficult to deviate from that for a late party. Don’t miss the boat.....please arrive on time! We have wetsuits for children to adults up to 5x. These are full wetsuits, 3mm that are thoroughly cleaned and sterilized daily. We do require that you wear a wetsuit while on a tour with River Ventures....this helps for many reasons. The wetsuits keep you warm and buoyant; we must stay at the surface of the water without diving down towards the animals. As a private tour all ages are welcome! There are no limitations or requirements; however if children under 18 enter the water they do need to be accompanied by a parent or guardian.